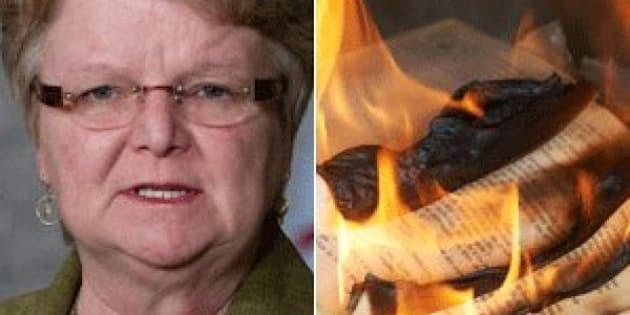 Fisheries Minister Gail Shea is denying reports that scientific research was burned or discarded in the name of cost-cutting. And Shea says the decision to consolidate Department of Fisheries and Oceans libraries was about standing up for taxpayers, not stifling science. The department has been accused of committing a "knowledge massacre" by shuttering seven of its 11 regional libraries this fall and reportedly purging irreplaceable information, some of which is more than 100 years old, by only digitizing a small fraction of its 600,000 plus collection. But in a statement released Tuesday, Shea said "serious misinformation" has been spread about the move to consolidate such materials, primarily into the Institute of Ocean Sciences in Sidney, British Columbia and the Bedford Institute of Oceanography in Dartmouth, Nova Scotia. "The decision to consolidate our network of libraries was based on value for taxpayers," it reads. "The primary users of DFO libraries, over 86%, are employees of the Department. An average of only five to 12 people who work outside of DFO visited our eleven libraries each year. It is not fair to taxpayers to make them pay for libraries that so few people actually used." Shea says in the statement that the department owns one of the world's best collections of information on aquatic sciences and fisheries, but users prefer to access information digitally. She says users will be able to do so, at no cost, as materials for which DFO has copyright will be preserved. The Tory minister also says books were not burned or discarded in dumpsters, as scientists anonymously told independent online magazine The Tyee in December. The minister said in the statement that duplicate materials, including books, were offered to other libraries and staff, then to the general public, and finally recycled "in a green fashion" if there were no takers. "It is absolutely false to pretend that any books were burnt," she concludes. "Our Government is proud to stand up for taxpayers while retaining our important scientific knowledge." But Shea's version of events clashes with what some prominent researchers have been saying. The story by The Tyee's Andrew Nikiforuk painted a picture of collections, paid for by Canadian taxpayers, lost forever in landfills or set ablaze in what some researchers called a "libricide." An anonymous DFO scientist also told Nikiforuk the government's claims that useful information is being saved in digital form are untrue. In a private email, a scientist even likened the closing of Winnipeg's Freshwater Institute in December to a rummage sale and encouraged a colleague to "loot [the] library before the bonfires begin." In a story published online Tuesday from The Globe and Mail, scientists also described irreplaceable research being grabbed for free or "hauled off to the dumpster" after the purge of fisheries libraries. Dr. Peter Wells of the International Ocean Institute at Dalhousie University told the Globe that historic research used to determine how rivers and lakes have changed is not available digitally. 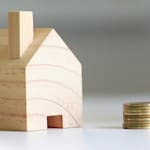 "I see this situation as a national tragedy, done under the pretext of cost savings, which, when examined closely, will prove to be a false motive," he told the paper. The department reportedly aims to save about $430,000 by consolidating its fisheries libraries. Yet, the notion of data being lost will further complicate the Harper government's rocky relationship with scientists. In September, hundreds of frustrated scientists rallied on Parliament Hill and in cities across Canada to demand the government stop muzzling federal scientists and cease cuts to research funding. Just days later, The New York Times published a scathing editorial arguing Harper Conservatives aim to restrict publicly financed scientists from sharing their information with the public. The paper suggested such moves went beyond an attack on academic freedom to become an "attempt to guarantee public ignorance."